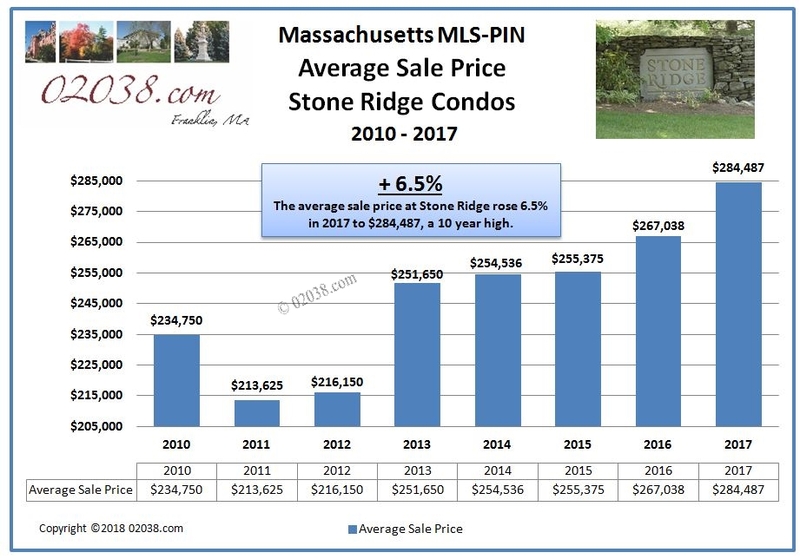 2017 was sixth year in a row of rising prices at the Stone Ridge Condominiums in Franklin, MA. The average annual sale price of Stone Ridge townhomes reached 284,487 in 2017, a 6.5% increase over 2016’s average. 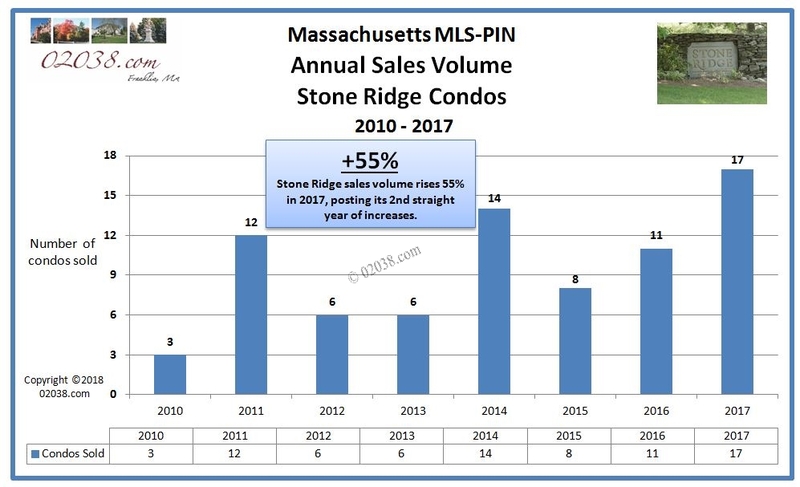 Stone Ridge’s average sale price for 2017 is a sizeable 33.7% above were it was in 2011 at the bottom of the Great Recession. 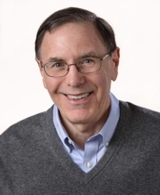 2017 brought more good news for the Stone Ridge Condominiums in Franklin, Massachusetts in terms of the healthy number of units that changed hands. Seventeen Stone Ridge units sold on MLS-PIN in 2017. This was the largest number of Stone Ridge condos to sell in any one year going back to before the Great Recession. 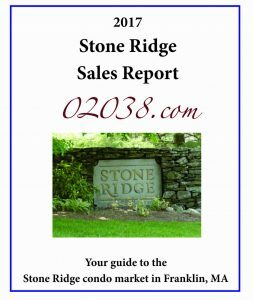 Follow the hyperlink in the image below or at right to download the Stone Ridge Sales Report for 2017. As you’ll see in the report, the lowest price paid in 2017 was $224,500 for a 1,222 sq ft unit with a detached garage and an unfinished basement. At the other end of the price spectrum at Stone Ridge during 2017 was the $326,500 paid for a thoroughly renovated 1,730 sq ft end unit offering a first floor master bedroom suite and two additional bedrooms on the second floor. The Stone Ridge Condominiums in Franklin, Massachusetts are a great place to call home! Contact Realtor Warren Reynolds for more information or to see any unit for sale in this fine condo community!